Sophie says..: November Obsession: Christmas Jumpers! What i've discovered is that the best christmas jumpers seem to be in the men's sections of popular shops. I found this one in the men's section in Primark, and even though the smallest size is a tiny bit baggy, if you like jumpers that keep you all cosy and warm then it's perfect! I absolutely love the other jumpers from Topman, RI and New Look, especially the hedgehog print one! They're perfect because if you don't feel like dressing up you can throw one of these on with a pair of a leggings, and the festive print will cheer you right up! I'll definately be expanding my collection, Primark is definitely going to be raided first .. £12 is such a bargain! 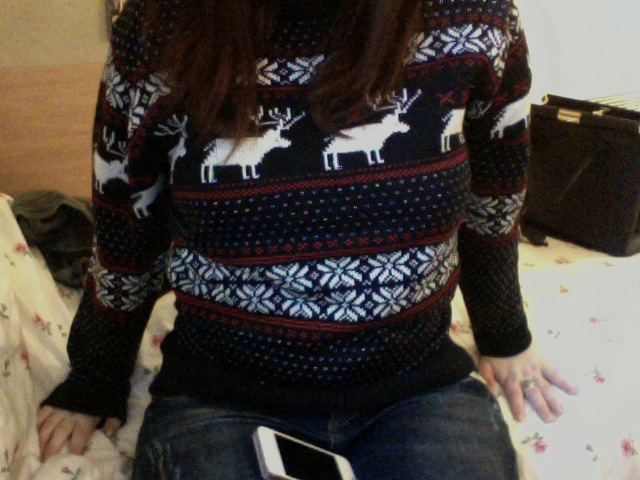 Anyone know of any other shops that sell gorgeous Christmas jumpers?